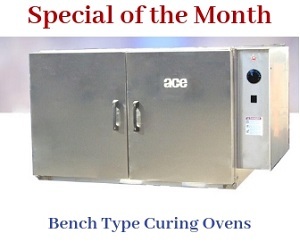 The ACE Burn OFF Ovens System offers an easy, clean way to perform this costly and dirty job. Simply load the oven with your parts and hit the start button. 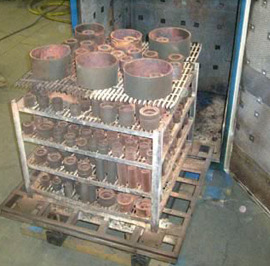 Below: Before and after photos of rubber rollers. It is really that simple and the integral afterburner controls all smoke and fumes so there is no pollution. 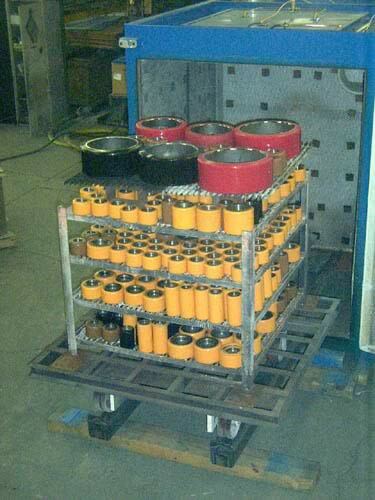 Even sensitive materials can be processed.